"Ready? Survive!" was the theme of this year's Saugahatchee District Fall Combine, which combined the district's traditional fall camporee with its fall Webeloree, giving Boy Scout troops the opportunity to show off their skills while also helping Webelos Scouts as soon-to-be-Boy Scouts see what Boy Scouting and Scouting camping is all about. 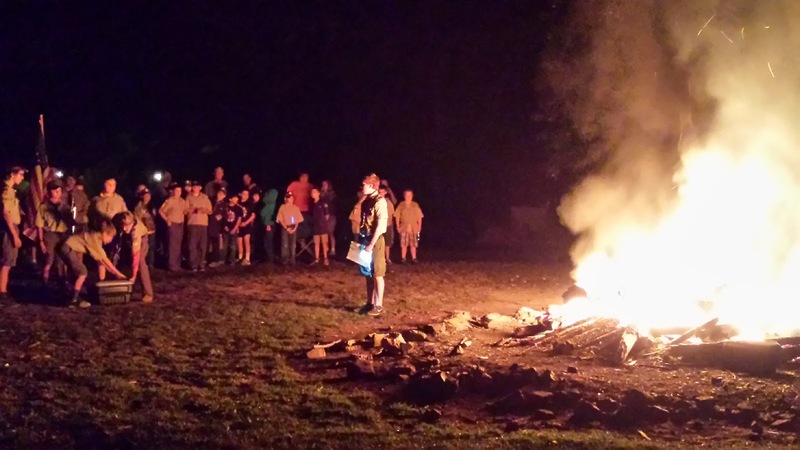 Around 50 area Webelos Scouts attended Saturday's activities, which included first aid instruction in the morning that helped Webelos earn the Readyman Activity Badge, and wilderness survival demonstrations in the afternoon. Troop 50's first aid instruction focused on treatments for a variety of afflictions Scouts may encounter in the outdoors. These included insect and snake bites, as well as burns. Scouts used posters to lead discussion and special-effects makeup to create lifelike scenarios as they taught the Webelos Scouts. 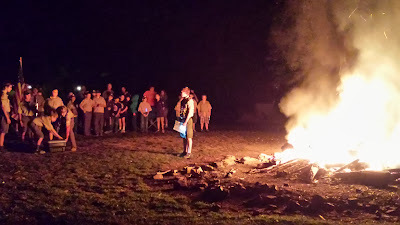 Saturday afternoon, Webelos Scouts returned, this time for wilderness survival-themed displays and demonstrations. Troop 50 provided Webelos the opportunity to make their own paracord survival bracelet with many different colors to choose from. As part of the evening's campfire, the troop concluded the gathering with a flag retirement ceremony, which included several American flags and an Alabama state flag. The troop served as narrator and honor guard while giving Webelos in attendance the opportunity to be part of the retirement ceremony. Check out more photos from the event in the troop's online photo album.